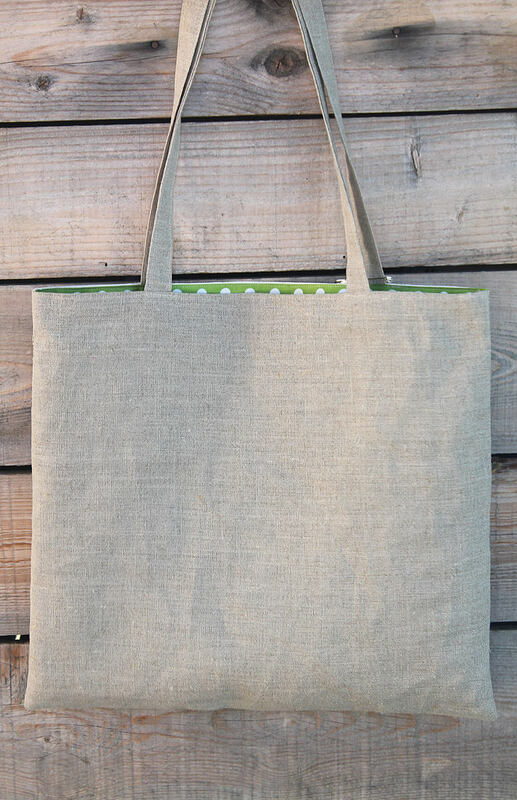 Tote bag in natural linen lined and illustrated "Little white rabbit"
Tote bag in natural linen doubled. 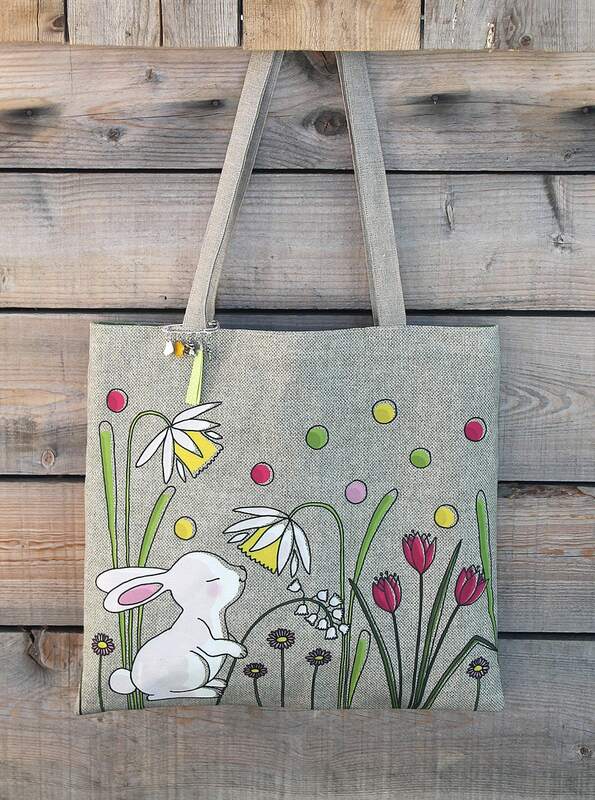 A printed face with original illustration, small white rabbit pattern and spring flowers. A face in natural linen. 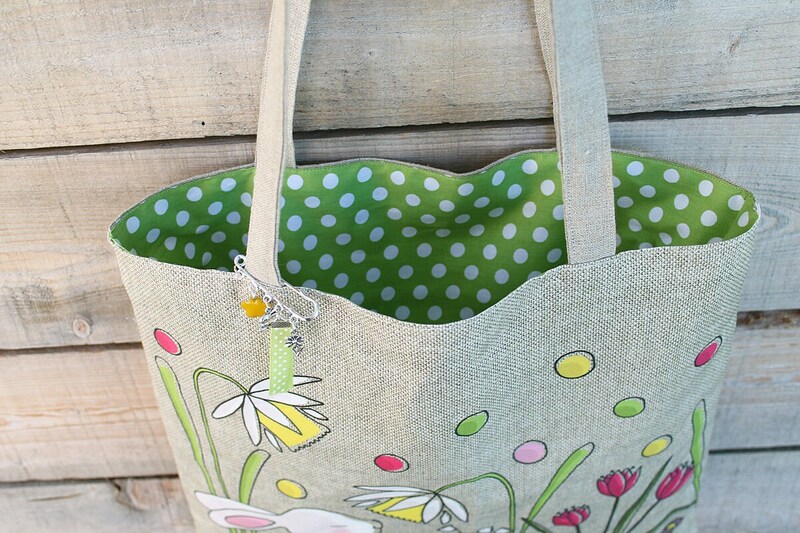 Green cotton lining with white dots. 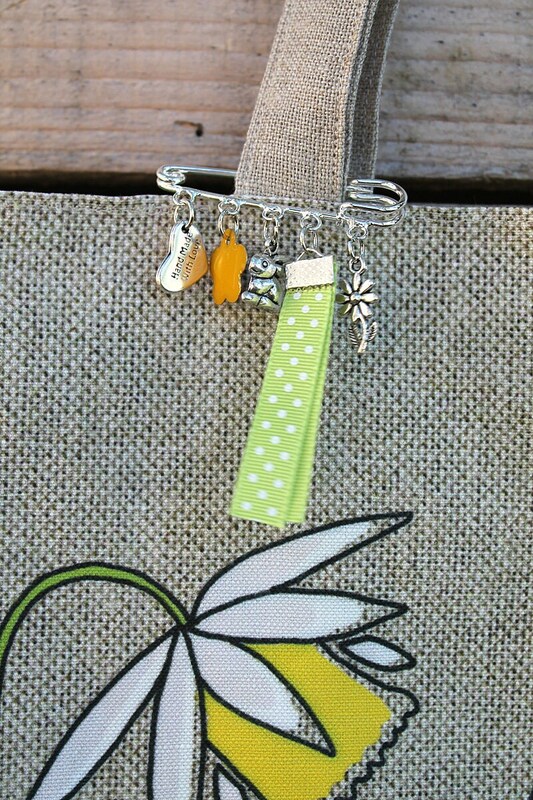 At the handle is hooked a brooch - safety pin with 5 charms in the theme of the illustration. Small bag simple and practical to always have with you the essential.